High school seniors officially sign their letter of intent with a collegiate program each year on the first Wednesday in February. National Signing Day is a moment that players will never forget because most have been working since age five or six in order to get there. Signing to play college soccer is an amazing accomplishment that requires talent, dedication and commitment. On an average year Coast FA will have between two to ten players reach their goal of playing at the next level. These players fulfilled their dream today and will forever add their name to the Coast FA collegiate and professional players that came before them seen below. 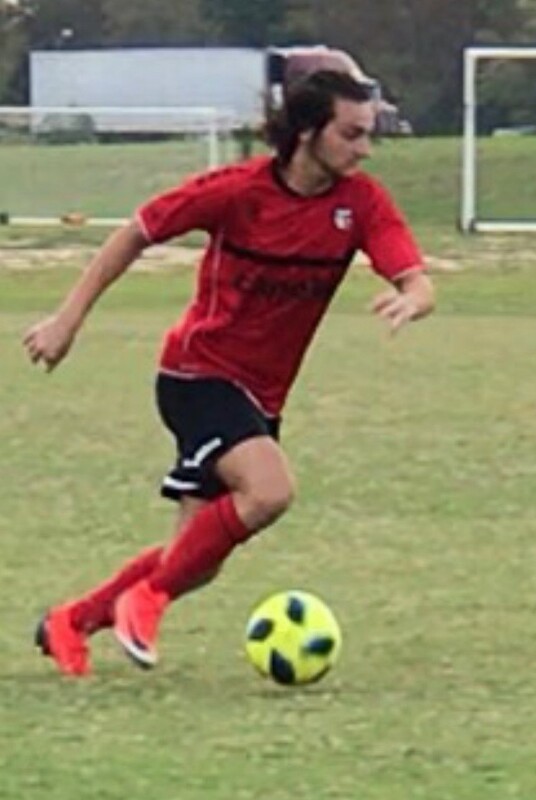 Coby Arambula – Midfielder - Coast 00 Red – Myrtle Beach High School - Committed to Limestone College in Gaffney, South Carolina. The Saints posted a 13-4-1 record last season and compete in the Conference Carolinas. “ I had an amazing experience playing my youth career for Coast FA and the Myrtle Beach Mutiny II team. The players and coaches I’ve met through this club have played a great role in my development. I am happy to be continuing my soccer career at Limestone College “ said Coby. Sam Coughlin – Forward -- Coast 00 Red – Myrtle Beach High School - Committed to Guilford College in Greensboro, North Carolina. The Quakers were 7-10-0 last season while competing in the Old Dominion Athletic Conference. “ Playing for Coast FA has been one of the greatest experiences of my life. Being a part of the club has brought me new friends and has helped me develop as a player to reach this next level. It is truly a great club and I am thankful for everything they have done to help me continue my journey. I am looking forward to playing at Guilford next season. Go Quakers ! “ said Sam. Coast FA Soccer Club was formed in 2006 by merging Coastal Soccer Club, Ocean Strand Soccer and Horry Georgetown Soccer Club. The list below represents any Coast FA youth player that has played in the collegiate or professional level.